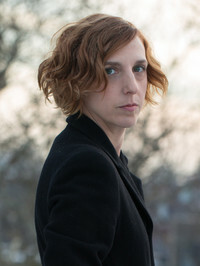 Andrea Kleine is the author of the novel Calf, which was named one of the best books of 2015 by Publishers Weekly. She is a five-time MacDowell Colony Fellow and the recipient of a New York Foundation for the Arts fellowship. A performance artist, essayist, and novelist, she lives in New York City. To ask Andrea Kleine questions, please sign up. "A quick and really riveting read. Characters were excellent. Pre-teen girls and an account of slowly sliding into madness - opposite ends of the spectrum, so to speak, but both so well done! "